Americans sure do love fried foods, so I’m not quite sure why we haven’t jumped on the bean/legume fritters bandwagon. 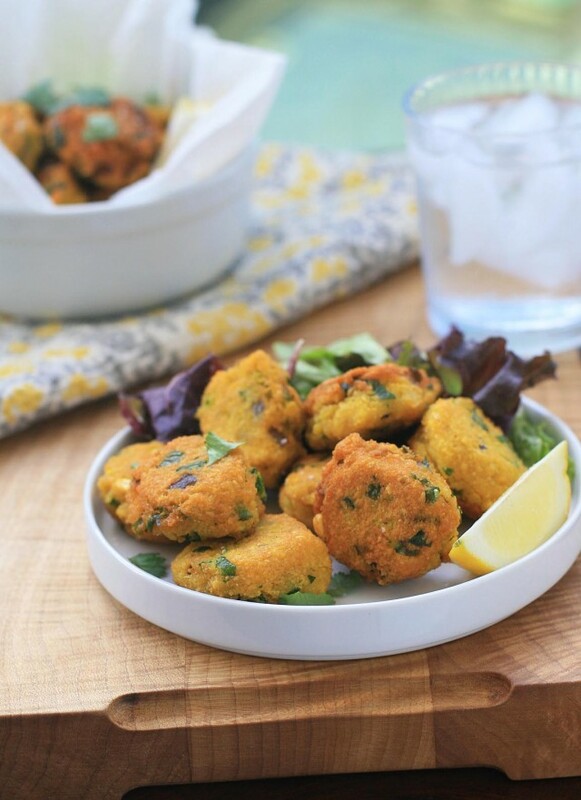 Clearly the rest of the world has a leg up on us: countries in the Middle East have their chickpea Falafel, Brazil has its black eyed pea acaraje, and both India and Burma have yellow split pea fritters. 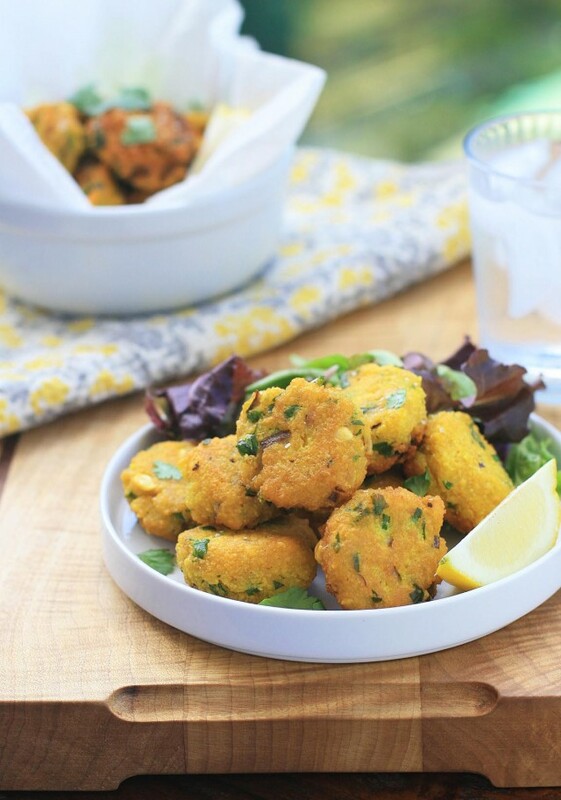 If you’re a fan of yellow dal, then you can probably imagine how good hearty, spiced dal would be in fried appetizer form. Soaked yellow split peas are processed until nearly smooth and then combined with garlic, onion, spices and fresh cilantro. Form the mixture into little discs or balls, and shallow fry them until golden and crispy. These might not qualify as health food, per se, but I’m guessing that these vegan treats are a whole lot better for you, and a whole lot tastier, than what’s coming out of the fryer at your local fast food chain. I couldn’t resist snacking on them just out of the skillet, but I imagine they’d also make a great lunch or dinner when paired with an Indian or Burmese salad. Rinse the split peas under cold water. Cover with plenty of water and soak overnight. The following day, drain the split peas and process in a food processor or high speed blender until almost smooth. Mix the processed split peas with the onion, garlic, chile pepper, cumin, turmeric, salt, cilantro leaves, and water and stir until well combined. Let sit for one hour. Heat a thin layer of oil to a large skillet or wok over medium-high heat. Use our hands to shape round or slightly flattened fritter and place in the oil. Cook for several minutes until the bottom is beginning to turn golden. Use long-handled tongs to flip the fritters. Continue to cook until the fritter is golden all over and cooked through the center. Drain on paper towel-lined plates. 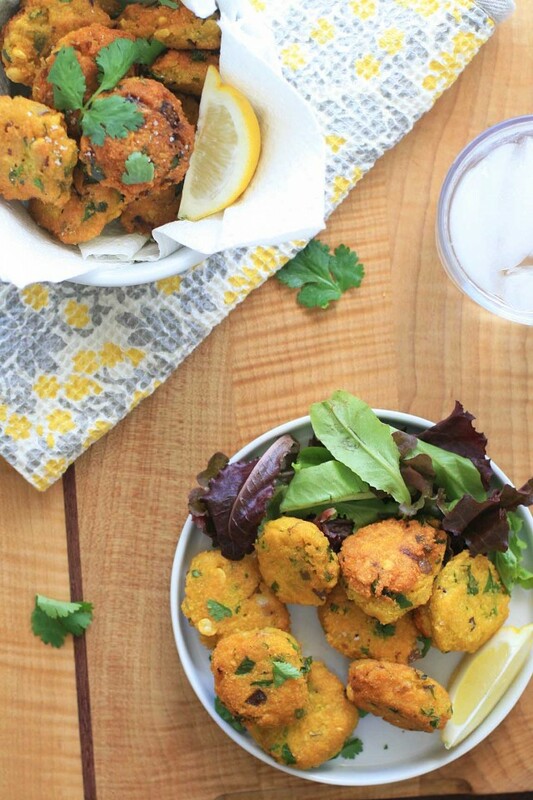 Squeeze a lemon wedge over the fritters if desired and top with an extra sprinkle of salt and cilantro.